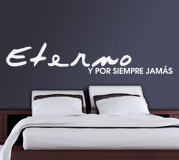 Bed Headboard Wall Sticker For ever and ever. 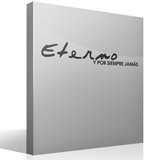 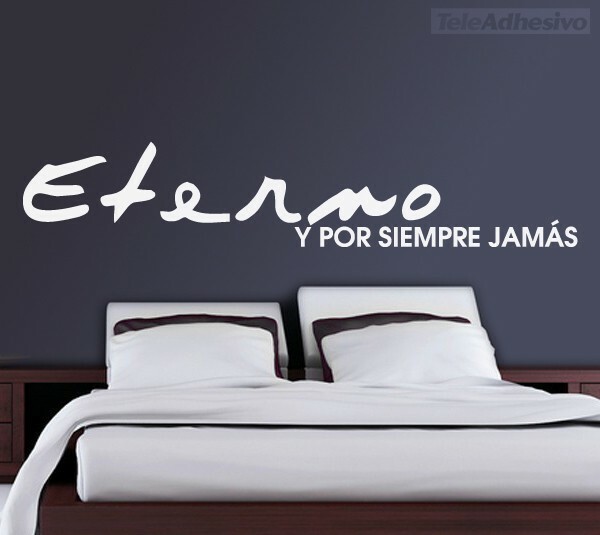 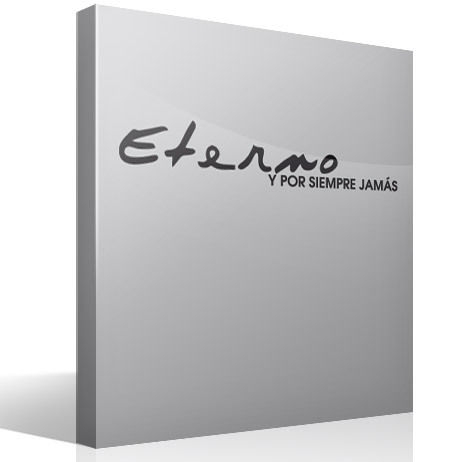 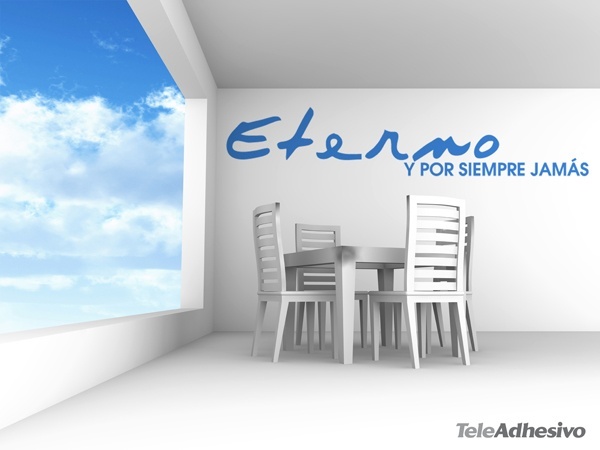 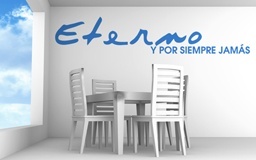 Decorative vinyl of famous phrases with the phrase "Eternal and forever" and that represents an oath of eternal love. 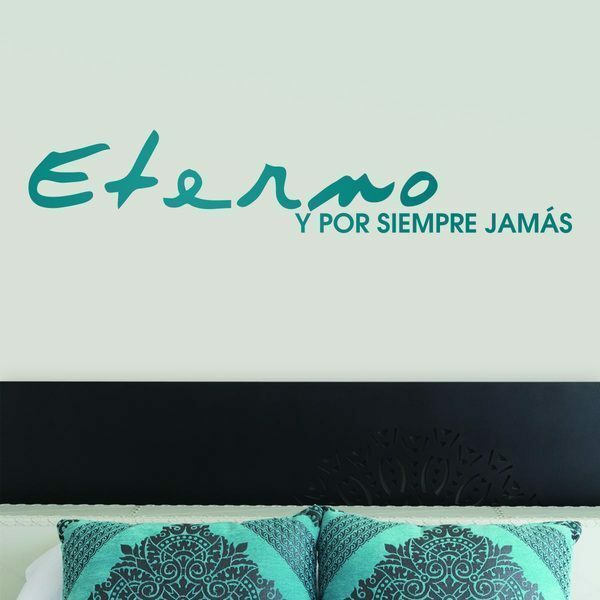 It is very well placed on the headboard of the double bed. 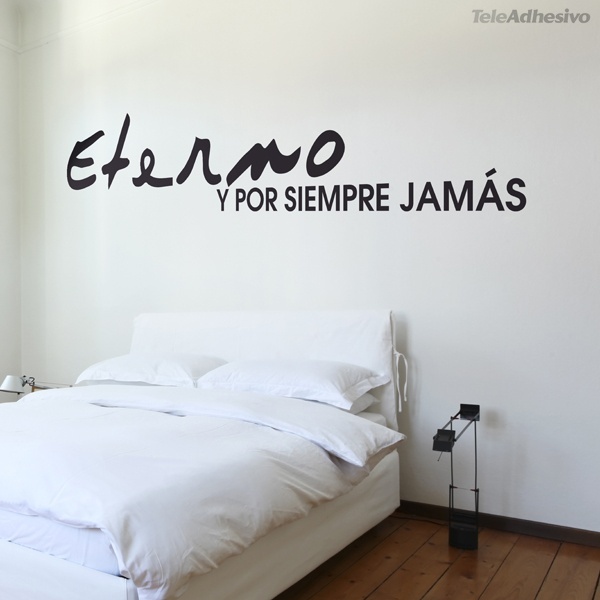 Famous phrases or quotes turn the walls into a canvas in which emotions, feelings are exposed and help us to see life in a more positive way. 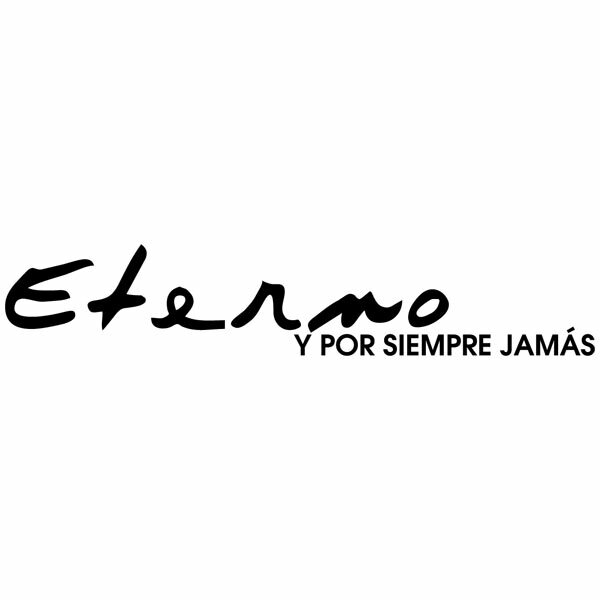 Size: 34 x 7 cm.